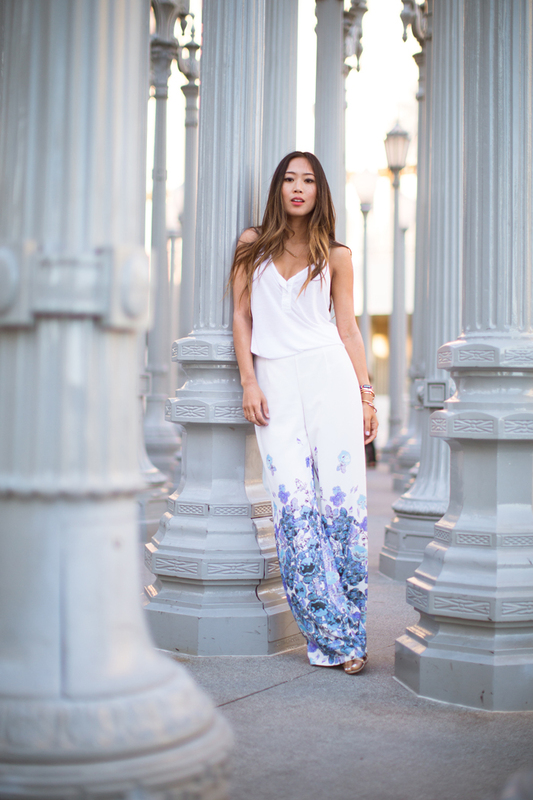 Who knew wide legged pants aka palazzo pants would be so comfortable and chic? The prints on the bottom of these pants make them look like they’ve been dipped in water color. I felt like an actual career woman wearing these pants to my work meetings even though I just paired it with a simple tank top. 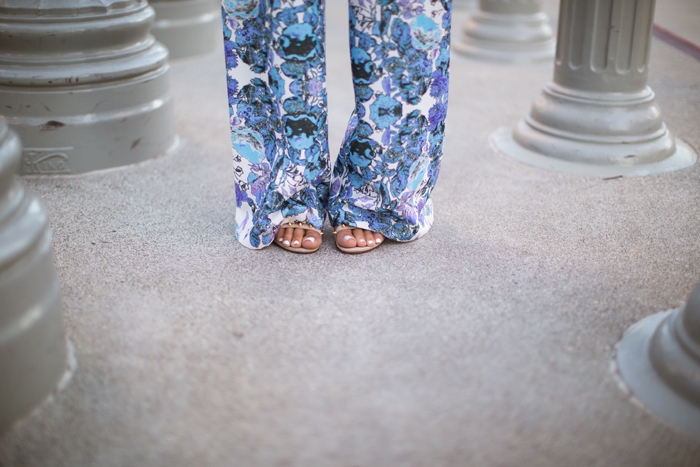 Are you guys into wide leg pants? If so, any fun ideas on how to style them? Bracelets from L to R: Giles & Brother, Vita Fede, Jennifer Zeuner x 2, Vita Fede, Cartier. Chanel Bag via LXR & Co.